Once the calender turns to September, it seems like the rest of the year melts away. I can’t believe it’s getting close to the end of October! I’ve been battling a cold for a few weeks, which definitely makes the days seem to run together, but I’ve also been doing and writing a lot of fun stuff lately. 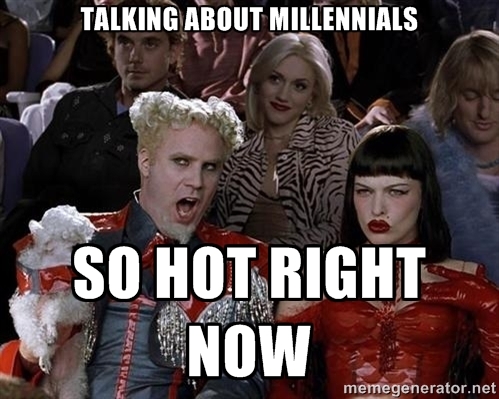 Posted in Articles + Talks, Extras and tagged generational challenges in the workplace, millennials are so hot right now, millennials in the workplace, stretching your 2015 marketing budget on October 21, 2014 by Fatemeh Fakhraie.